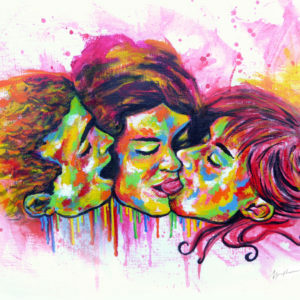 Giclée art print of Holding Hands an original artwork made with acrylic painting by Nymphainna. Custom trimmed with border for framing and sent with packaging. 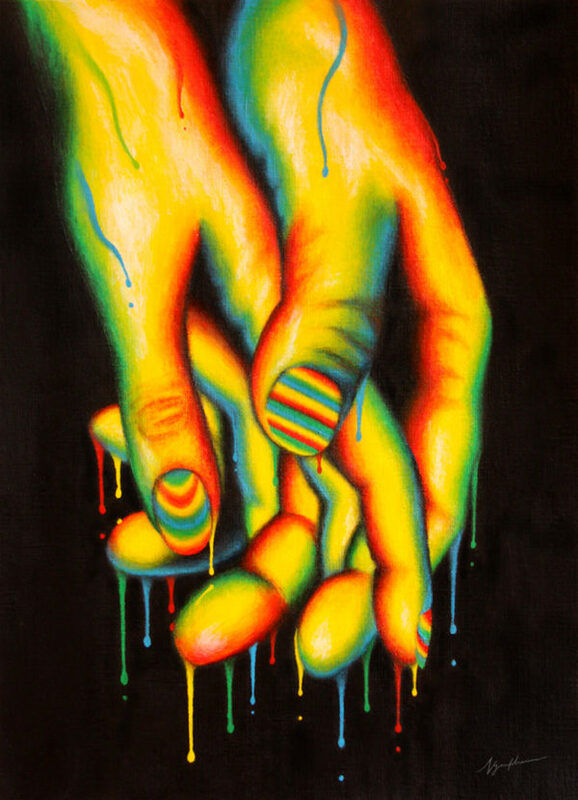 Art print of Holding Hands, an original artwork made with acrylic painting by Nymphainna.